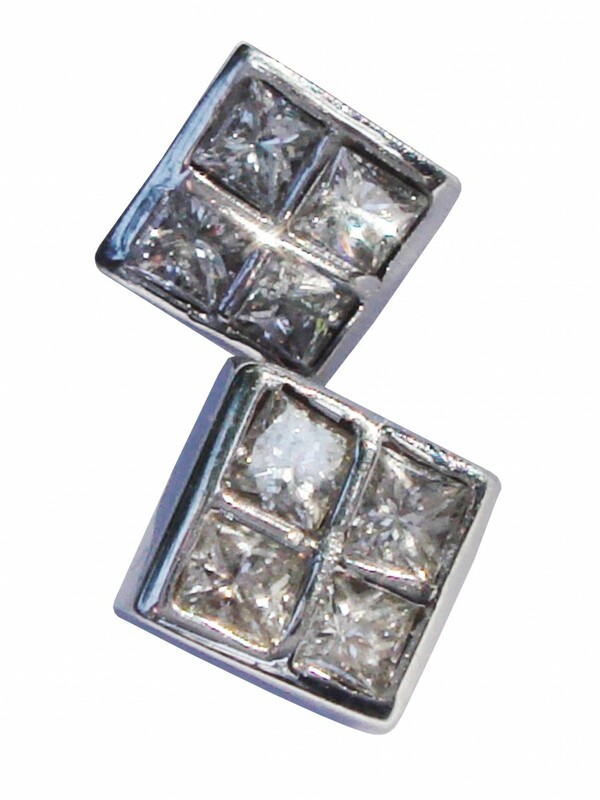 4 princess cut diamonds set in 18ct white gold as ear studs. 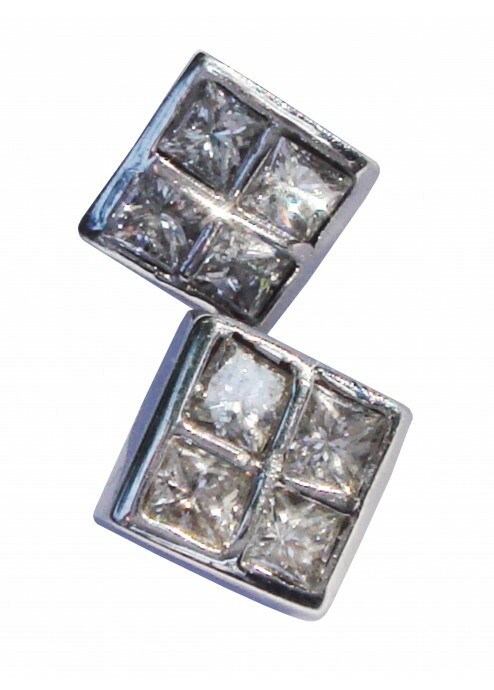 These stud earrings have a clean, chic, contemporary feel for everyday use or special occasions. 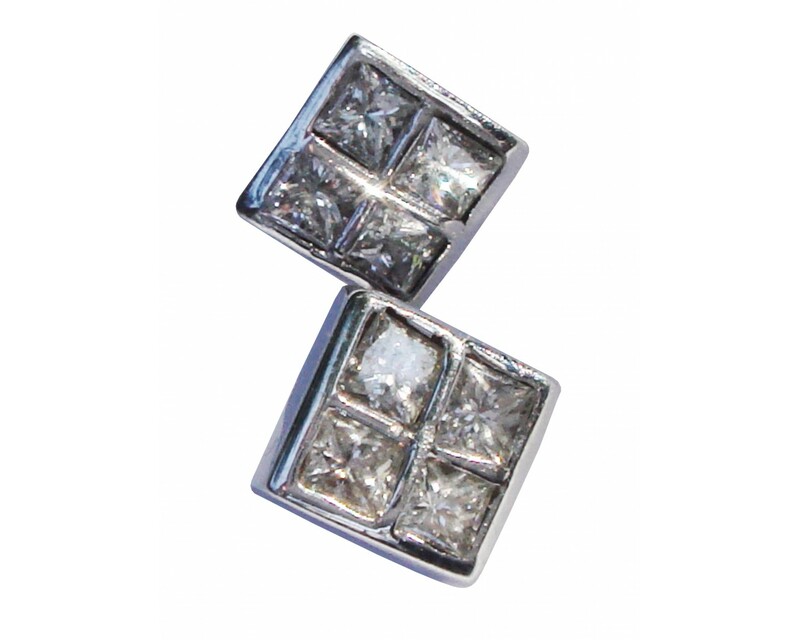 They are a modern classic.